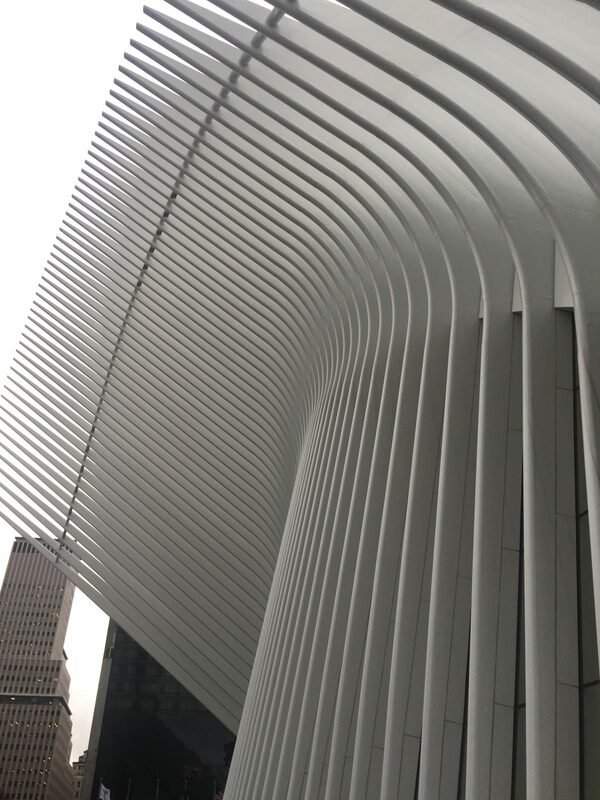 The Vessel in Hudson Yards, NYC. 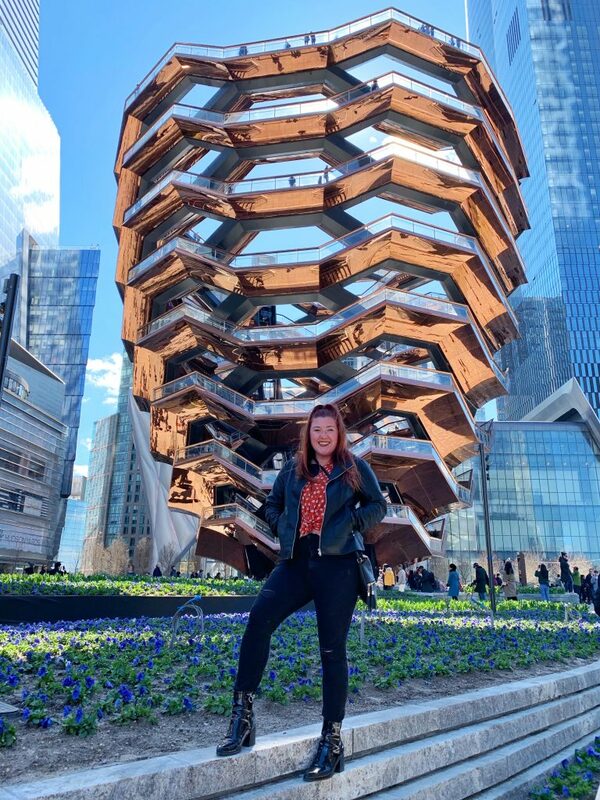 The past week New York has opened a new art piece, The Vessel, and a mall, The Shops & Restaurants at Hudson Yards. The unique architecture and large amounts of shops have been drawing people in. There have been thousands of people coming to see the additions to Hudson Yards. The Vessel is a flight of stairs that takes you up 150 feet. It includes 2,500 to get you up to the top to see a view of the city. The architecture of the stairs gives a honeycomb-like look which is completely different from anything in New York City. “The Vessel” isn’t actually it’s final name. The designers have still been thinking of a name for the new landmark. How much does the Vessel cost? Climbing the stairs of the Vessel is completely free! But, you do have to have a ticket to enter. The tickets are to help make sure there aren’t too many people there at once. You can go online to their website here and book tickets. When I was there they were also giving out tickets on site, so if they are sold out online, you might get lucky by showing up and asking the staff for more information on tickets. This mall is filled with high end stores including Louis Vuitton, Rolex, Fendi, Forty Five Ten, Kate Spade, Neiman Marcus and more. There are also many restaurants that I would say are pretty fancy as well. These restaurants include Belcampo, Blue Bottle Coffee, Estiatorio Milos, Hudson Yards Grill and more. They definitely gave the mall a very sophisticated look. Not only does the mall give off it’s own look but the stores do as well. Many of the stores were designed to give a “wow” look or what some would say an “Instagram worthy” look. 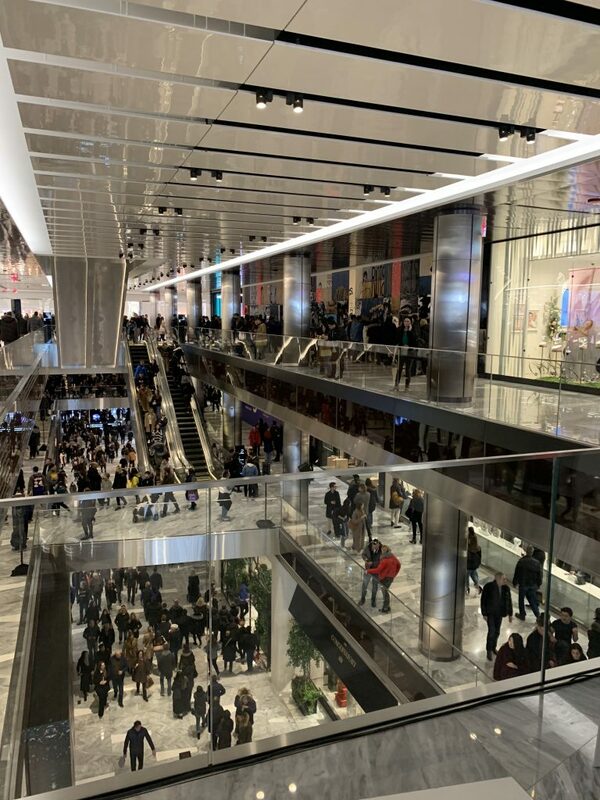 Inside of Neiman Marcus in The Shops & Restaurants at Hudson Yards. 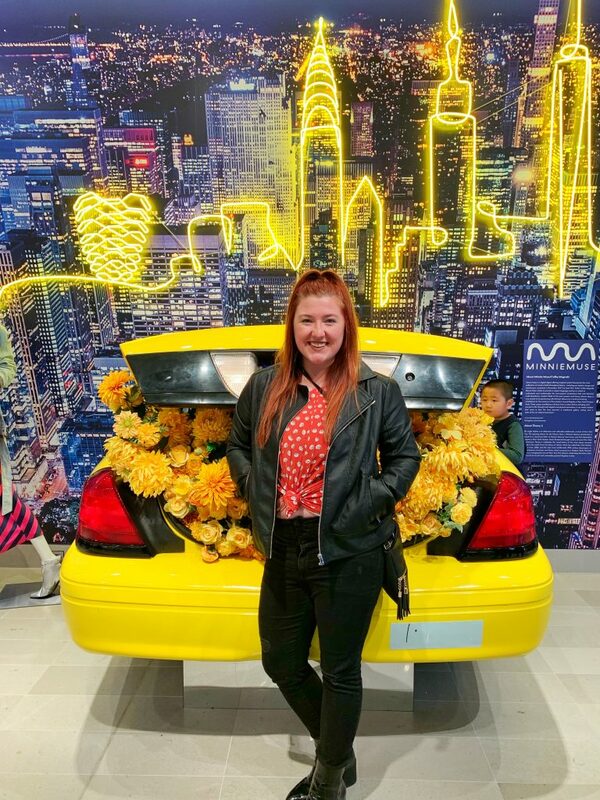 What I found most unique about The Shops & Restaurants at Hudson Yards was that they included the children into the theme of the mall as well. Throughout the mall you can find little interactive activities to keep children busy while you’re shopping. One of the activities included a wall of sequins. The wall is made to use your fingers to draw pictures. It’s a pretty huge wall and the sequins go all the way up to the ceiling. The idea is amazing because lets the customers express themselves while still showing different artwork on a daily basis. 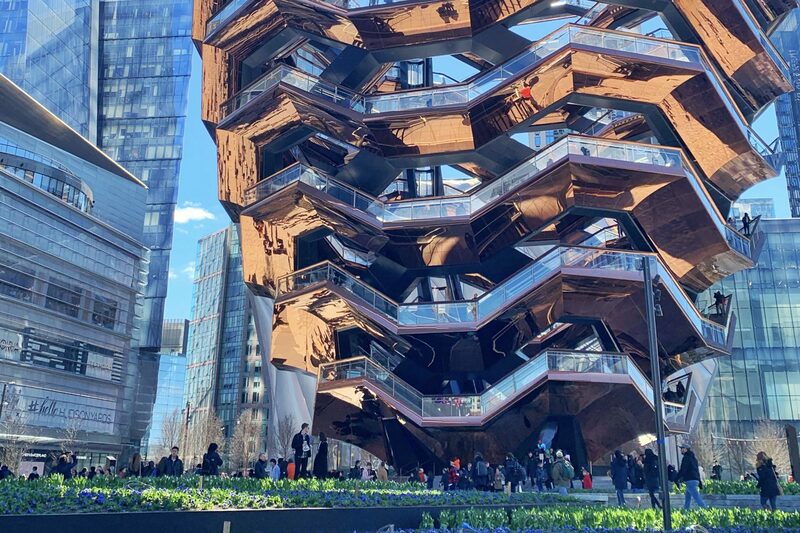 The Vessel is located right across from the mall which is located in the Hudson Park and Boulevard in Hudson Yards, New York. This is located near 34th street. So what are you waiting for? Buy the Plane Ticket to New York now!